The Overhead Alliance of MHI has created two new tools to demonstrate the advantages of overhead lifting solutions. The first tool is an interactive lifting game where users follow co-worker Carl through three levels as he teaches about the advantages of overhead lifting and the specific products involved. Level 1 utilizes an Overhead Bridge Crane to lift and move boxes through a factory floor. Level 2 employs a Hoist and Monorail System to move boxes to different workstations in the factory. Level 3 combines all the three lifting methods (Bridge Crane, Jib Crane, and a Hoist & Monorail System) to move the boxes within the factory. 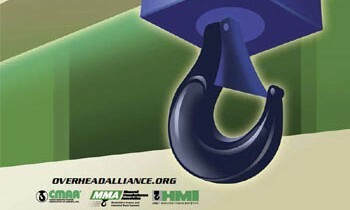 The second tool is lecture material to increase awareness of the overhead material handling industry and its products. The lecture material was developed in cooperation with the College Industry Council on Material Handling Education (CICMHE) to promote overhead lifting technologies through materials that can be incorporated in academic coursework. It is designed to assist professors and teachers in integrating overhead material handling into their course work.